Record Atlantic Cod Caught on Rod and Reel – 91.9 lbs! Home › Nature › Record Atlantic Cod Caught on Rod and Reel – 91.9 lbs! 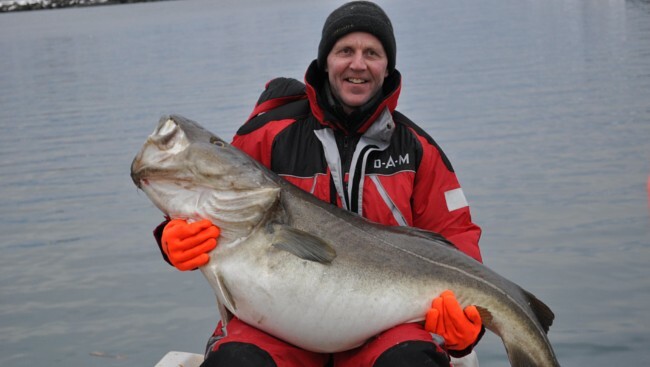 Fishing in Norway is by many enthusiastic sport fishermen regarded as fishing in paradise, and in the series “record fish caught on rod and reel”, ThorNews presents a record Atlantic cod catch. In early March 2012, Morten Hvam from Askim in ØstfoldCounty was on a fishing trip with four friends on Sørøya (South Island), located at the coast of Finnmark. After catching a 79.4 lbs (36 kg) cod the year before, it was natural to try the same fishing spot again. It should pay off. 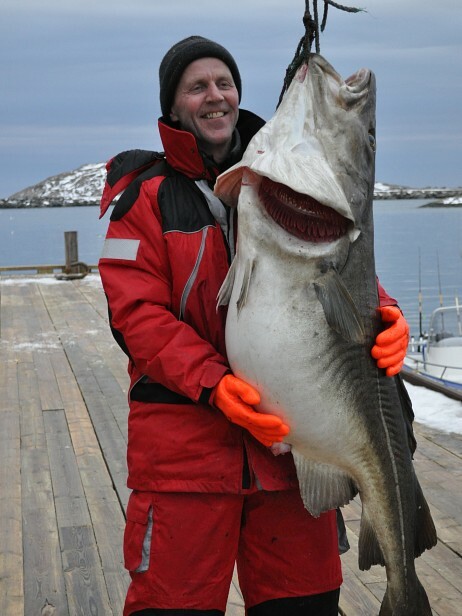 Out of the sea he pulled out a 4.8 feet (1.47 meter) giant cod weighing 91.9 lbs (41.72 kg). – I was fishing at 115 feet (35 m), and I think I spent ten to twelve minutes to pull it up. But I do not know for sure, because you forget time and place in such a situation. It was really fun. This year, like last year, he used a 21.2 oz (600 gram) “Svenskpilk”. 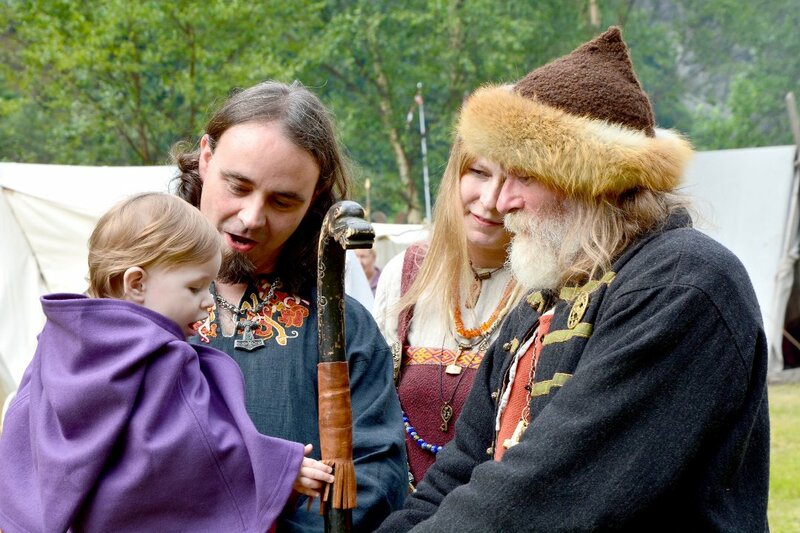 – The “Svenskpilk” works for me, and I will stick to it. The giant cod flesh is too rough to be served on a plate. – Instead, the cod is going to be a trophy. I shall make a poster of me and the cod as a memory. The World’s Largest Halibut Caught on a Fishing Rod – 540 lbs!